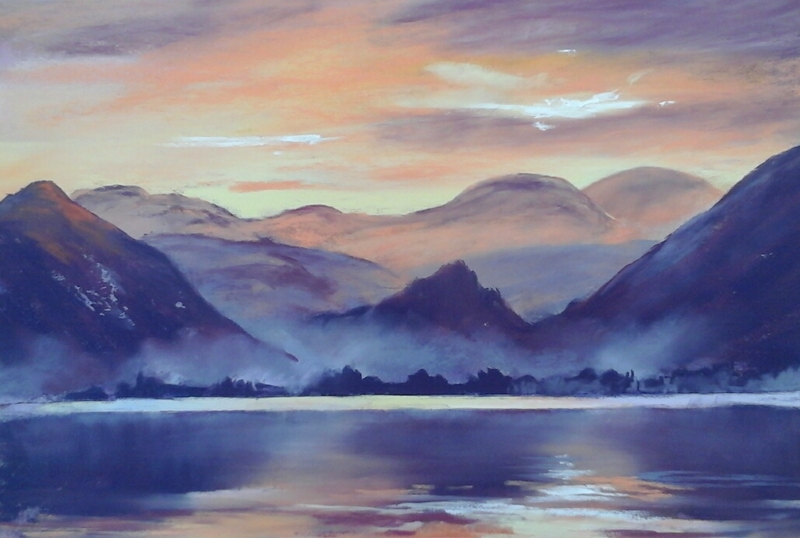 Derwentwater Blues, Limited edition print. This peaceful scene is painted in watercolours. The print is sold without a frame and mount for safe postage, but looks fantastic with an Ivory mount and simple frame to suit. 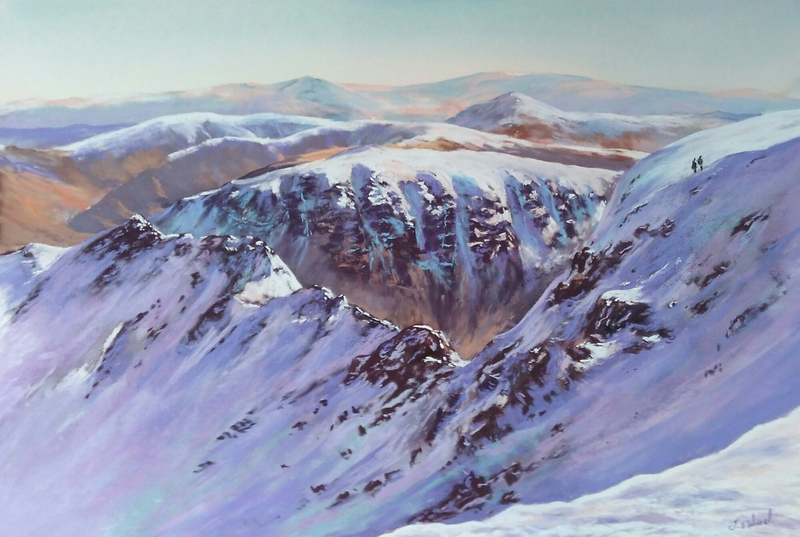 The last Wainwright of 214 beautiful mountain tops, and what an inspiring view to paint. Borrowdale from Walla Crag pastel painting. Walking up Walla Crag, surrounded by blooms of Mauve and Purple Heather fragrant with the smell of Honey, this is was inspired me to paint this scene. Painted after a truly classic day, walking on the hills on a beautiful winters day. I’m stood on Green Gable looking towards, Pillar, into the Ennerdale valley with Crummock water on the right. Every year when May comes around. 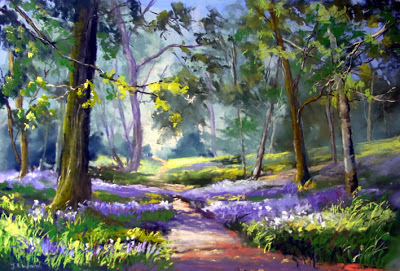 The fragrance of the Bluebells and their vivid shades of Mauve inspire me to paint these wonderful woodland scenes.